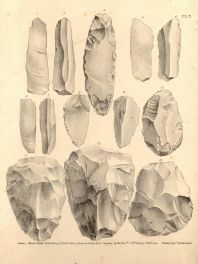 The area of the English Riviera Geopark provides one of the longest records of no glacial Pleistocene events not only in Southwest England but also in Western Europe. Situated beyond the southern limits of Pleistocene glaciation in the UK, the region lay centrally in a zone across which a whole range of Pleistocene mammal species would have migrated in response to repeated climatic and environmental changes. On the fringes of Europe, the area would have been at the ultimate limit of hominid migration, thus developments here have had a resounding resonance. Significant karst development within the Marine Devonian limestones provided a profusion of suitable caves, fissures and shafts where sediments, faunal remains and artefacts have accumulated by a variety of agencies. Bone preservation, even micro faunal remains, has been aided by the alkaline conditions. Bones and artefacts from these deposits were central to the pioneering work carried out in nineteenth century and subsequent controversies about the antiquity of human beings. "Kents Cavern is beyond doubt one of the most important sites in Britain for Palaeolithic archaeology. The extensive date range of the human activity found within the cave complex and the good dating evidence create a resource which is of international significance. Human beings were using the caves from over 350,000 years ago and there is evidence of periods of occupation throughout the Palaeolithic period, up to 10,000 years ago. The value of the caves is further enhanced by the rich diversity of animal remains, which allow us to reconstruct climatic conditions through an enormous length if time, covering several glacial and inter-glacial cycles. 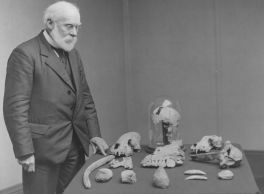 Current research involves the analysis of a piece of jawbone first unearthed 80 years ago during an excavation by the Torquay Natural History Society. 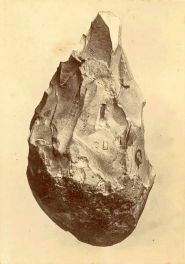 Originally the piece was thought to be 31,000 years old, however the current research was initiated when Dr Roger Jacobi and Professor Chris Stringer of the Natural History Museum of London obtained new radio-carbon dates for animal bones that were found in cave sediments directly above and below where the jaw fragment was found. 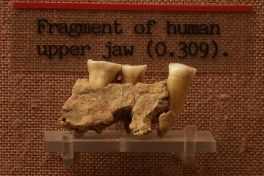 These indicated that the layer in which the maxilla was found dates to between 37,000 and 40,000 years ago, and if the jawbone fragment is of a similar age it would be even more significant than first thought. If the jawbone proves to be Neanderthal, then Kents Cavern will be the only place in Britain were there is direct evidence that Neanderthals once lived, but also it would confirm that Neanderthals spread across Europe and reached Britain far earlier than is currently thought. 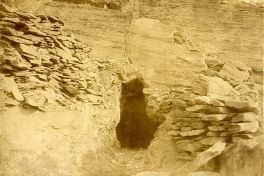 However, a systematic exploration of the caves of Berry Head did not commence until 1983, when Peter Glanvill started an investigation that was subsequently continued by the Devon Speleological Society. As a result, today over 50 caves are now on record. This complex of coastal caves is unique in Great Britain and recent Uranium-series work on speleothem in the Berry Head caves confirms their potential for calibrating marine Pleistocene events (Proctor and Smart, 1991; Baker, 1993; Proctor, 1994; Baker and Proctor 1996). The caves provide an extreme marine environment the biodiversity of which is still being investigated.